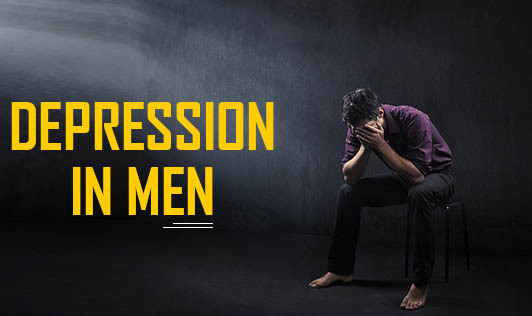 We often believe men are strong and in control of their emotions at all times.But depression in men is a common condition and many disregard or refuse treatment for it. When depression occurs in men, it may be veiled by several unhealthy coping behaviours. Men with depression may feel blue, feel extremely exhausted, have sleeping difficulties, and not derive pleasure from activities they once enjoyed. The behaviours mentioned above could be signs of depression or might overlap with other mental health issues. Hence, professional help is the key to correct diagnosis and suitable treatment. Asking for help may be tough for men, but be aware that it is unlikely for depression to go away without treatment. It may just get worse and feel miserable. It can cause issues in every aspect of life including career, health, personal safety, and relationships. There are many effective treatments available for depression. Be it man or woman, don't try to fight out depression on your own because the consequences could be distressing. Have courage to seek help when you need it!